Home Known Issues SharePoint Open with Windows Explorer Error: "Your client does not support opening this list with windows explorer"
Open with Windows Explorer Error: "Your client does not support opening this list with windows explorer"
Some of the end users got the following message when trying to open a SharePoint Document Library in explorer view from Windows 7 / Windows Server 2008. 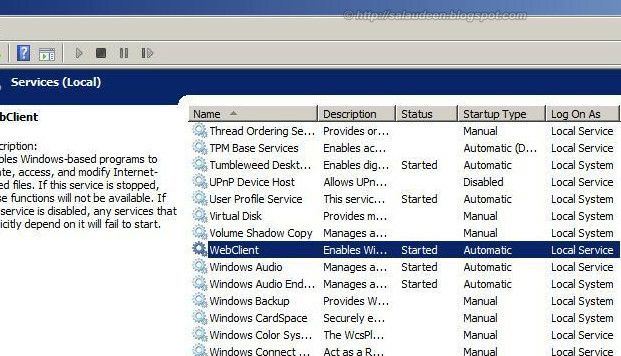 Error : "Your client does not support opening this list with windows explorer"
i'm on win 7 SP1 64bit with Office 32bit in IE 32 bit and still receiving error. - (KB943280) : added multi string value for AuthForwardServerList including "https://faithgroup.collaborationhost.net"
+ Verified that WebDav is installed and running on both client and server side. Cycled service off and back on numerous times after making changes. Just wanted to say I love reading through your blog and look forward to all your posts! Carry on the excellent work. 1.Click Start, type regedit in the Start Search box, and then click regedit.exe in the Programs list. 4.Type BasicAuthLevel, and then press Enter. 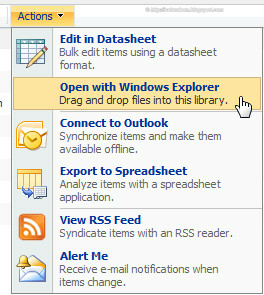 6.In the Value data box, type 2, and then click OK.
in my case it was enough to set the Compatibility View for our intranet on IE11 and all issues ended.